The Slovenian threw his back to the team in a last superlative quarter (24-9). He signed 28 points in the duel and 13 in the decisive quarter. Difficult to explain the feeling with which the fans of the Mavericks left the American Airlines Center after the experience in the duel against the Blazers. They would not have left the premises and would still keep in their retina the comeback that their team had just signed in the last round of the match. The Texans suffered, and in what way, to win a duel in which they were in tow from the beginning, and which became very uphill after finishing the third quarter, when a Damian Lillard in a state of grace showed its potential from the line of three. At that time his team won 14 and he had 28 points and 6 triples of 9 attempts, practically twice as much as Luka Doncic. But that's when the Slovenian took the reins in attack and the perfect storm was unleashed. 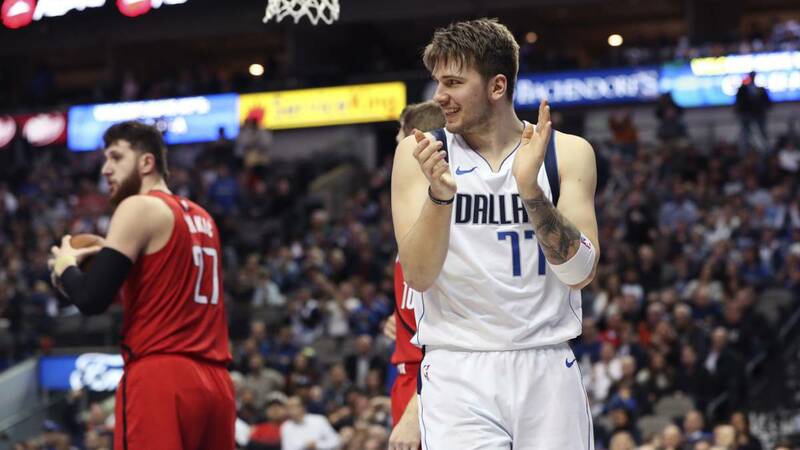 He scored 13 of the Mavs' 24 points in the fourth quarter (24-9), including two triples and a vital 2 + 1 that put the Texans ahead with a minute and a half to go. To everyone's surprise, and even more so after what happened in the previous quarter, Rick Carlisle's were able to dry the fifth offensive power of the West. Only scored three field goals and three points from the staff in the last 12 minutes, closing a fourth lapidary and tremendously decisive in the result. But the start of the duel was very different. Several minutes passed from the initial jump until the match took pace. Doncic and a great Hardaway led the Dallas block and Lillard responded in the same way. The three players closed the first quarter (25-24) with 7 points each, adding to the Slovenian 5 rebounds and 2 assists. The first visiting arreón would come in the second quarter. The Portland team proved to have a very competent second line and swept an initial 1-15 (26-39). Rodney Hood and Jake Layman shattered the opposite ring, but the local reaction came with the return of Doncic and Hardaway to the track. Partial of 14-4 and again the match in equality (40-43). But a protagonist was missing to appear before the rest arrived. The power of Jusuf Nurkic in the area, without a DeAndre Jordan to slow him down, wreaked havoc to give a comfortable income to the Blazers (47-57) . It was after the break when the locals came back to tighten, but Nurkic in the area and Lillard in the outskirts were more than enough to stop those attacks and increase the advantage at the end of the third (78-92). The evolution of the final twelve minutes was another story, written in handwriting by an Doncic disproportionate in attack. Finished the duel with 28 points, 9 rebounds and 6 assists, beating by four points to more than remarkable Tim Hardaway Jr.
With this are already six wins for the Mavericks in the last nine games. They remain eleventh in the West (26-29), in the wake of the Lakers and with the small hope of climbing positions to reach this year's dream: the playoffs. Of being in the East, they would be in eighth position. But the toll of the West is more expensive and the reality is that the Clippers, eighth of their conference, exceed them in five victories, leaving them from the utopia that supposes to be aside or to the other United States.